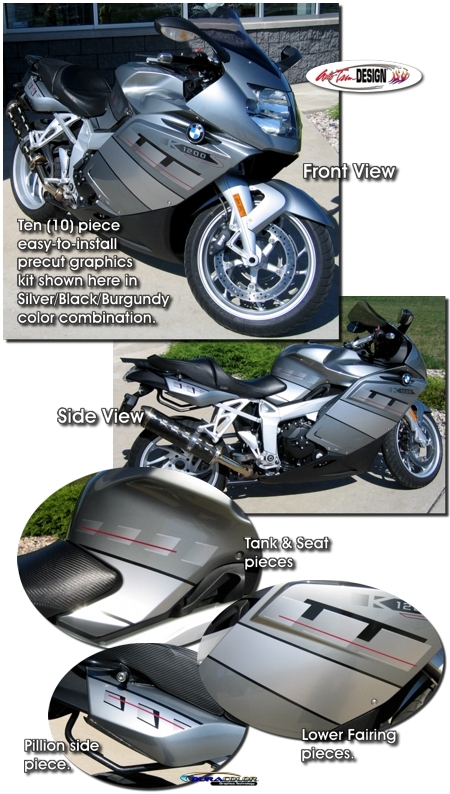 Created specifically for '05-'08 BMW K 1200 S bikes with a monotone paint scheme, this kit will "sport up" your bike in no time. Available in four (4) different color schemes, this kit is precut and very easy to install in the areas shown. Moreover, the graphics are covered with a 2.5 mil clear laminate which will protect the graphics from miles of abuse.